Dubai is known as the world famous place for various types of construction cranes. The real estate activities are on the peak in Dubai which has made it necessary to import latest and functional construction cranes to built skyscrapers. In past, there were 25% cranes in Dubai as compared to the total cranes in the world. Within a few years, a great revolution has changed the state and now it is full of awe inspiring buildings. The director of Chesterton, an international agency for property has claimed that the use of various tools and latest machinery will be increased in the upcoming years in UAE, but Dubai will be on the top of the list. It is true that the consolidation of construction activities have surprised the world. Dubai has become the center of attraction which has given motivation to Abu Dhabi and many other states of United Arab Emirates. The investment in real estate is getting increased by leaps and bounds which has made it possible to use the latest cranes for shifting and lifting heavy material. The requirements for cranes to shift heavy materials and to build highest buildings are getting increased. Expo 2020 is one of the major causes of revolutionary change in Dubai. The government is planning to design unique and distinctive buildings to inspire the visitors throughout the world. For this purpose various types of cranes like Gantry crane, EOT crane and Tower crane are excessively used. As the construction activities will be boosted up in the upcoming years, so the Dubai will maintain the status of “crane capital” in the world. There are seven world famous projects in Dubai which will be completed within 2 to 3 years. The year 2014 is called as the best year for the development in UAE and especially in Dubai. Basically cranes are used to make the work easy and save time. As Dubai is famous for highest and fabulous buildings, so it is necessary to purchase cranes which can perform various functions without any risk or loss of life. 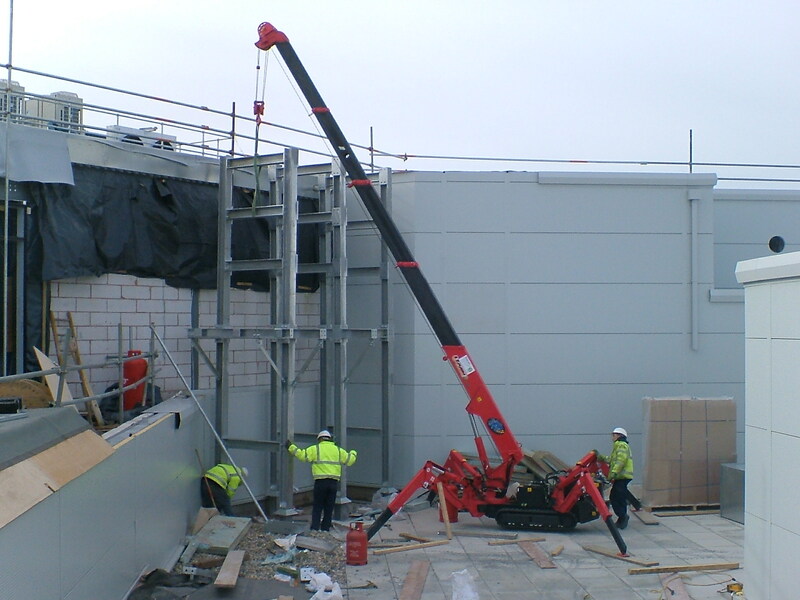 For the safety of workers, Unic small spider cranes are used for high buildings. These are known as the wonderful Spiderman. The design and shape of these cranes is appropriate for towering skyscrapers. These cranes are capable to lift heavy weight from one area of construction to other. These cranes can be easily moved one floor of highest building to another by using lift. These are excessively used for steel work in UAE and specifically Dubai. Unic spider cranes are designed to move as high as 80 storey lofty buildings effortlessly due to mini foot prints and distinctive design. In order to complete various projects in Dubai, mini cranes are imported to raise steel and other equipment. Moreover the use of remote control has made the work précised. Now, a range of functions can be performed by just triggering the remote for smooth lifting of weight. It is the main reason that mishaps are reduced and the construction work is completed on time. In 2000, it was decided by lighting architectural studio to use shipyard cranes with LED lights over the port. The vision of Skira project is completed in 14 years. The lighting giant project of Dean Skira has recently launched. Skira has utilized 73 LED spot lights which are 88 pounds heavy. There are 8 cranes which are used for this project. Each light has 64 high quality LED chips. It is incredible that there are 1600 variety of colors and capacities of lights. When the ceremony of this project was started, Skira decided to give this crane lighting performance with the help of dramatic music. Just like a game, The Dino cranes were turned on. Now these lights are switched on four times in a night. The cost of this unique project is 1.5 million Kunas which are equal to 270000 dollars. Skira completed the work without getting any special fees whereas the LED lights were purchased from Philips at reasonable rates. In Poland, Argentina and Spain a variety of projects were also launched however the light adjustment of Skira is worthy to admire. As the shipyard cranes are used to lift up heavy weights and can keep on working more than 200 years. 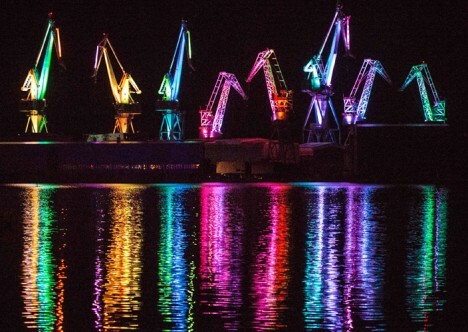 The awe inspiring project has surprised the world by making an illuminated ballet with the help of cranes. The shipyard cranes are placed at the sea side area of Pula. These cranes are specially decorated with the variety of lights to enhance the beauty. These cranes are just like the giants and have skyscraping shapes with sleek and sophisticating angles. These beautiful metal based beasts have been lit up near the water so the images of lights can be reflected in the water. Now we can see the dance of multicolor cranes in water. Skira has introduced a unique platform where visitors can see the dancing lights. The main players of this stage are durable steel LED colorful lights and slow motion to inspire the visitors. This event has been inaugurated in Croatian where Visualia festival is arranged. For the whole night, the lights are remotely switched on for 15 minutes. There are 1600 color ranges and combinations which are used to make the crane giants as something extraordinary and superficial. The metal dancing cranes can mesmerize anyone with their romantic colors, giant shape and eye catching backgrounds. The light show of cranes has grabbed the consideration of visitors throughout the world. The image of cranes in the water shows as if the dinosaurs have come back in a wide range of colors. The capacities of these cranes are different, starting from 200 tons to 45 tons. The technicians of well-known Skira have decorated the dinosaurs like cranes with 73 spotlights. The load of each light is equal to 40 kilograms because a single light has 64 chips of LED to show 1600 exceptional colors. If you ever get a chance to attend the Visualia festival, never miss to view the eye-catching sight of cranes. Recently, the ports authority of Georgia has sanctioned an amount of 86.5 million dollars for the purchase of new cranes. The cranes are required to complete a project on garden city terminal in Savannah. The infrastructure and availability of new cranes will make it possible to complete the work more easily and effectively. The executive of port authority has stated that the latest cranes fleet will bring new opportunities and chances of development on the ports area. In order to get a renowed position, 24 latest cranes are being ordered which will be used to lift containers. The cranes will arrive on the port in the year 2016. The port authority of Georgia will have 20 Panamax latest cranes and 9 cranes of post Panamax. It is a record that United States has no other terminal where such a great variety of cranes are available. Currently, there are 8 cranes which are used for port functions and known as shift to shore cranes. Kone cranes are designed and assembled in China. These awesome cranes have capacity to get access to 22 containers and can move as high as 136 feet high above dock area. It is amazing that these cranes are able to operate more than 9700 berth space. The Gantry cranes are used to move the container in cargo. The latest cranes will be used in the next 2 years on the shipment area. It is appreciating that these 20 cranes will be highly capable and will be designed to change electric power as the GPA from diesel fuel. The order of 24 world best cranes will give Savannah port the most important port of Georgia and United States. The fleet of shift to shore 29 well maintained cranes as well as the new container shifting cranes will give high-rank to the Savannah port and the best terminal for worldwide trade. The port of Savannah and Brunswick have latest machinery to complete the port functions. The dramatic development of volume defines that the market is open to accept challenges. Interstate access, auto processors, rail on terminal will make this point the best port for auto makers. As compared to the past few years, breakbulk cargo has observed the greatest changes in the business section. The business sector has shown development and improvement up to 26 percent. Georgia port is one of the most awaiting processes which will include the port in world best trading sections. Georgia port is kept on developing by leaps and bounds. With each and every year, cargo and shipment possibilities are improved. 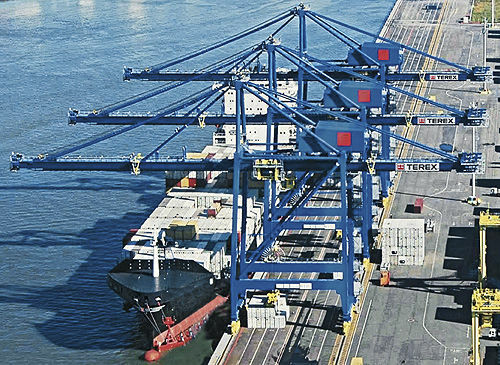 The port of savannah has received a challenge of TEU 3 million for 1 fiscal year. The performance of company and great success has won the trust of customers. The order for new cranes show that the port services are seriously improving as a great amount of investment has been separated for infrastructure and cargo delivering possibility without wasting a single instant of time.